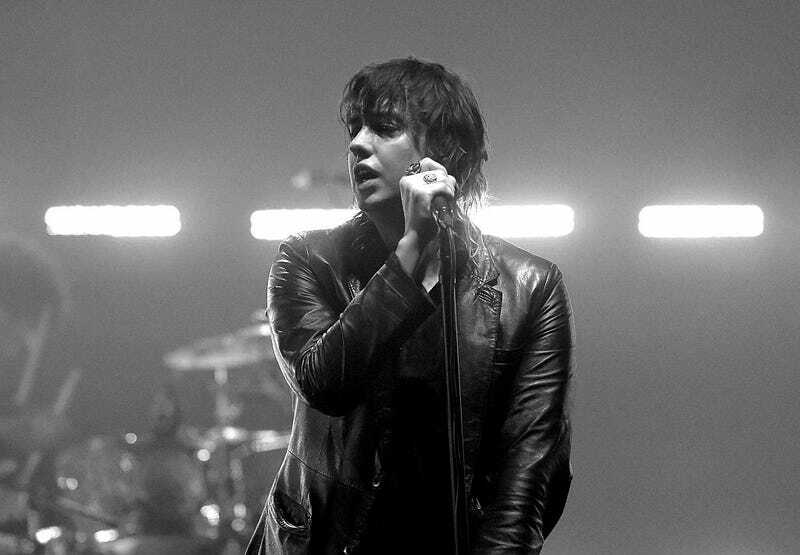 Back in the halcyon days of the ‘00s, Julian Casablancas was the poster boy of disaffected cool. Droning through a heavily compressed, blown-out microphone, he sounded removed from any care in the world—as if he was either too sleepy to get worked up or had somehow transcended everyday concerns with the sort of casual indifference available only to those born to upper-class families. But time has passed and, in a real barnburner of an interview with David Marchese published this morning at Vulture, Casablancas appears more than a little changed. Promoting the upcoming release of his band The Voidz’ sophomore album, the Strokes frontman decided to throw off the shackles of the man and just really let loose on the failings of popular culture and the mainstream media. Disenchanted with the systems we all labor under, Casablancas rails against our current political, cultural, and media climate. Though the general thrust of his argument—people should be better informed about the world they live in—is fine and good, the conversation is dominated on the interviewee’s side by a kind of dope haze insistence that the modern world is just grazing along like sheep, refusing to wake up to what’s really going on. Well, that, and probably the most fervent, sustained endorsement of Ariel Pink to date. It has all the wide-eyed fervor of a dorm room (on fire? ), especially when Casablancas explains that through thinking about the world over the years he’s come to “feel like things are crystal clear to me.” The entire interview deserves a read if not to have your third eye pried open than to follow the evolution of an artist who’s becoming more fully himself… whether you like the tone of it or not.